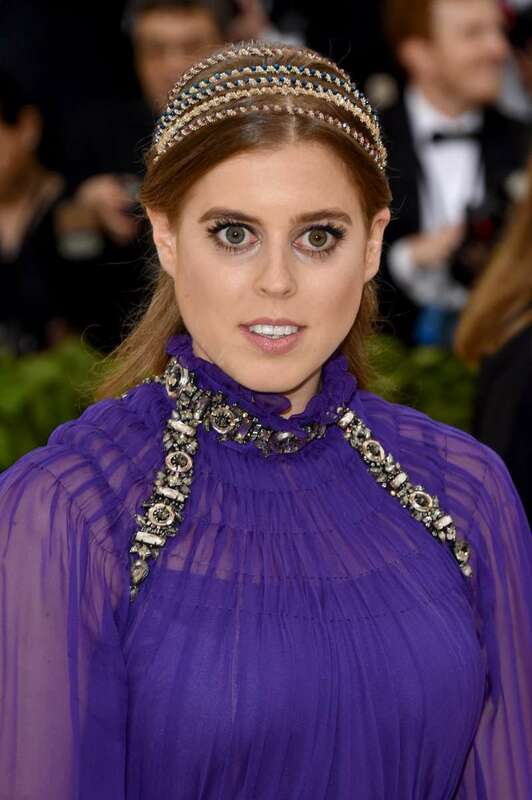 Princess Beatrice appeared at Met Gala 2018 two weeks before her cousin, Prince Harry, marries Meghan Markle. The royal’s outfit wasn’t flaunting, but at the same time, it was good enough to attract much attention. Met Gala has always been a place for all sorts of the celebrities. Actors, athletes, musicians, and even royals could be noticed during the most awaited fashion show of the year. This is, perhaps, the most favorite event for Princess Elisabeth von Thurn und Taxis. The fashionable woman attended Met Gala three times – in 2012, 2016, and 2017. Princess Diana also visited the performance. In 1996, she was wearing a modest but still elegant navy blue Dior gown. READ ALSO: Princess Beatrice Didn't Curtsey To The Queen, While All Other Royal Ladies Did. Why? Similarly to Diana, Princess Beatrice opted for a humble but quite fashionable bright outfit. The 29-year-old royal was wearing a long purple gown and was holding a black clutch. Her hair was neatly hidden under the peculiar headwear designed with jewelry. Beatrice appeared at the event just two weeks before the royal wedding, where, together with her sister Princess Eugene, she will be supporting her cousin Prince Harry on May 19 in St. George's Chapel at Windsor Castle. Princess Beatrice proved us you don’t necessarily need a 10-meter long luxurious dress to be remembered during such tremendous shows. All you should do is be confident and comfortable with what your designer prepared for you. All you should do is be yourself.